Book Review: The Forgotten Founding Father | What Would The Founders Think? Noah Webster might rightly deserve the appellation of Founding Father for his contributions to American culture and education alone. In his soon-to-be-released book, The Forgotten Founding Father, Joshua Kendall offers insight into the man and his accomplishments and justifies the claim. Joshua Kendall’s upcoming biography of Noah Webster presents an interesting view of this often overlooked icon of American history. From the title of his biography, the reader is presented with Kendall’s assertion that Noah Webster deserves the status of Founding Father, an attribution that he is not often accorded. Webster was not a signatory of any of the Founding documents and the highest political office he ever held was that of state legislator for Massachusetts. 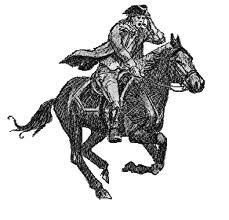 However, he did fight briefly in the Revolutionary War. Kendall’s generous designation of Webster as a Founding Father is derived from his contribution to American culture and his irascible patriotism. As a young man, Webster was very much involved in the political fray, especially during Washington’s presidency. Kendall’s biography does not dwell on this aspect of Webster’s life as much as does the somewhat longer biography by Harlow Giles Unger. Kendall’s book differs in tone from Unger’s in other ways too. Although, he does not purport to be writing a “definitive academic biography,” Kendall does a good job interspersing interesting threads of historical concurrency which add to the richness of the story he is telling. Despite the brevity with which Kendall treats Webster’s Federalist challenge to Citizen Genet1, he does point out that the two men’s paths intersected when they lodged in the same boarding house, and that they even dined together there, though their repast was punctuated with vituperation. It was after this that Webster began his personal crusade against the calumnies of Genet. Another such interesting thread is that of Jedidiah Morse, the nation’s first geographer. He saw the need for a geographical text for students and produced American Geography in 1789. Webster contributed a 20-page review of American History to this work. Webster also collaborated with Morse on a geographical dictionary which Morse would finish on his own and publish as The American Gazetteer. His eldest son, Samuel, would invent Morse code. 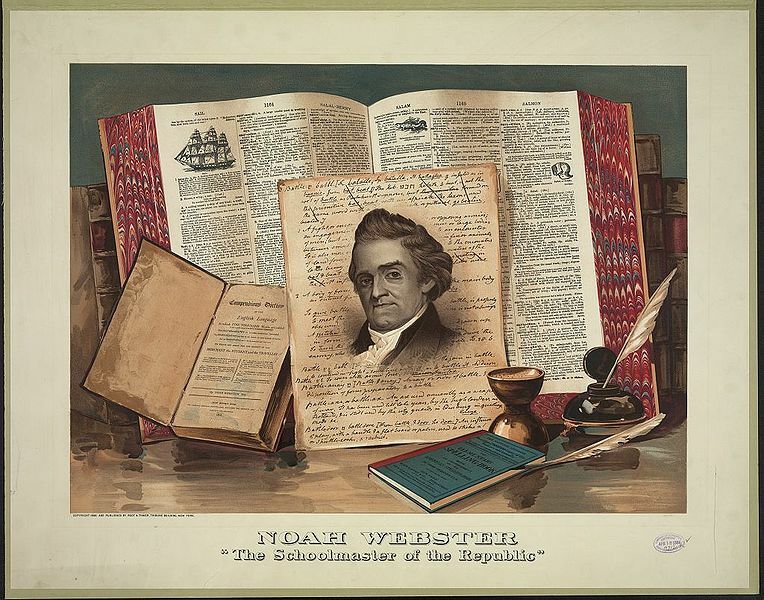 Although today, Webster is best known for his dictionary, like Morse, Webster was highly successful as an educator. As does Unger’s book, Kendall takes time to describe the significant influence Webster had on education in United States. Webster’s speller, grammar and reader were steeped in references to the nation’s founding and heroes of the revolution. Webster’s books educated most of the country’s citizens during its first century. In addition to contributions to American education through his school texts and dictionaries, he also founded newspapers, “out Hamiltoned Hamilton” in his defense of the Jay treaty, wrote 10 pro-treaty editorials under the pseudonym Curtius, and chronicled much of the nation’s early demographic data. He was obsessed with counting and compiling statistics about houses, deaths, and diseases wherever he went. Kendall takes a decidedly different approach to his biography than does Unger. Although he advocates for Webster’s Founder status, and amply demonstrates the contributions made by his subject to American culture and government, he also posits that Webster suffered from being an obsessive compulsive, bordering on mental illness. Kendall contends that Webster was able to turn this to his advantage in producing the last single-author dictionary ever written. Webster controlled his nervous disposition and mental state by engaging in the monumental task of ordering and defining the English language. Although the book is not footnoted, there is a Note on Sources in the back of the book in which the author points out some key differences between his biography and others that preceded it. Many early biographers had to work under the watchful eye of Webster’s heirs and were sometimes limited in their access to materials that might reflect less positively on him. Kendall was able to gain access to some letters that were largely unavailable to previous writers. Kendall succeeds in his aim to introduce Noah Webster to the broad reading public and make him something more than a name pasted on the front of reference book. The Forgotten Founding Father is a pleasant and informative book which manages to give the reader a good understanding of who Webster was as a human being, as well as the tremendous things that he accomplished. Edmund Jacques Genet was dispatched to the United States in 1793 by the French government to promote American support. He tried to foment rebellion against Washington’s government and encouraged privateering against British shipping.